Day's Wrap up: That's it from us here: A decent day for India as Atanu Das stormed into the pre-quarterfinals of the individual archery event, the men's hockey team edged Argentina 2-1 and boxer Vikas Krishan entered the pre-quarters in Men's 75kg middleweight boxing. There were a couple of disappointments as Heena Sidhu was knocked out in women's 25m pistol event where she finished a distant 20th with 576 out of 600 points and India's lone competitor in rowing, Dattu Baban Bhokanal, finished fourth in the quarter-finals of the men's single sculls to go out of medal reckoning. ARCHERY UPDATE: Atanu das wins the second set 29-26 to take a 4-0 lead in the game. Hockey updates: INDIA WIN! They beat Argentina 2-1 in men's hockey. Their first win over Argentina since 2009. Hockey updates: GOAL!!! Argentina pull one back to make it 1-2. Gonzalo scores from the penalty corner. Hockey updates: GOAL!! Finally a field goal for India. Kothajit gives India 2-0 lead. Hockey Updates: GOAL!! India take the lead. Chinglensana thumps it into the net. 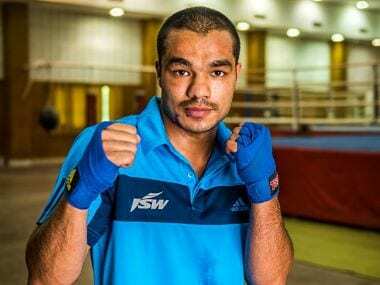 Boxing Update: Vikas Krishan's next opponent will be Onder Sipal of Turkey in the pre-quarters. Boxing Updates: End of Round 2 - Vikas takes the round with 9, 10, 10 while Conwell gets 10, 9, 9 . Vikas stays ahead. End of Round 1: Vikas Krishan gets all 10s while Charles Conwell all 9s. Boxing updates: India's Vikas Krishan's bout against USA's Charles Conwell in Men's 75kg middleweight boxing is underway. Boxing Update: Vikas Krishan's bout against USA's Charles Conwell will take place at 2.45 AM. Our inhouse journalist Kaushal Shukla explains why Indian boxers can win despite a tough draw. Click the above link to read the full article. #BREAKING: #AtanuDas scores a 29 and walks into the round-of-16. Ind bt Argentina 2-1 n pulsating finish..cud've been so much better w/verbal diarrhoea frm awful commentators..Anyway Gr8 job Ind! Hockey updates: India now play Holland on August 11th. 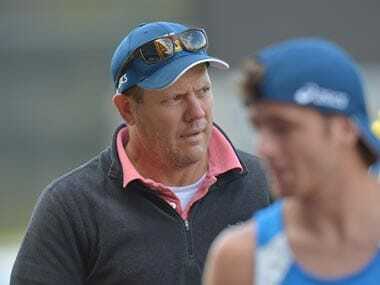 Hockey updates: Firstpost expert Sundeep Misra: That's one foot in the door for a Quarter-Final place. It's a big result. India now with two wins and one loss from 3 matches have 6 points. Hockey updates: India have to be on the offensive. Akashdeep has the ball but the angle is acute. Ball hits the netting. Just one minute remaining now. Hockey updates: Just 2 minutes left for India to hold on. Hockey updates: Nikkin-Sardar but Sardar flick is saved by the Argentine goalkeeper. Game spreads a bit wider. It's back in the midfield. India have the ball. Hockey updates: Firstpost expert Sundeep Misra: Argentina keep pressing. Mazzilli has the ball but the shot flies over the Indian goal. India lead 2-1 with just under 6 minutes left. Argentina keep pressing. Hovering around the Indian circle. Indian defence needs a counter to break the momentum which is with Argentina. Hockey updates: No penalty corner for Argentina. India win the referral. But they have another chance which Sreejesh saves. Later a move and Argentina want a referral for a penalty corner. It's a penalty corner for Argentina. it's their 3rd PC. Sreejesh saves but it's another PC for Argentina. 4th PC. India go for a referral but referee gives it Argentina's way. Great block from India's defence and they thwart the threat. Phew, it's all happening! Hockey updates: Firstpost expert Sundeep Misra: Game on for Argentina. The penalty flick was low by Peillat Gonzalo and beat Sreejesh who probably expected a high flick. Hockey updates: Argentina now slamming balls into the Indian striking circle hoping for a few deflections. Hockey updates: Crucial 15 minutes coming up for India. They lead 2-0 against Argentina. This will be a huge test of their defence. Hockey updates: Firstpost expert Sundeep Misra: It's been another quarter where India has been dominating. Kothajit, Chinglesana really playing well with Manpreet pushing a little upfront. They have Argentina in two minds. Tactically, they have Argentina in a bind. Hockey updates: Manpreet is back on the field; India at full strength. Hockey updates: Firstpost expert Sundeep Misra: Argentina now trying to push harder. But Akashdeep is out and sitting with a suspension. Not the right time to get suspensions.India down to ten men. They are getting too many cards.Argentina would be looking for the goal that would spur the side on. They are pushing on the flanks, trying to look for gaps and possibly earn penalty corners. But the Indians are keeping their sticks busy and feet away from the ball. Hockey updates: Firstpost expert Sundeep Misra: Striking circle tussle which India wins. Ramandeep, Sardar and then Kothajit gets the ball and a wide gap by the side of the Argentine goalkeeper. The scoop from Kothajit flies in and India leads 2-0. Rio de Janeiro: Indian boxers will attempt to put a four-year long administrative turmoil behind them when they launch their Olympic campaign at the Riocentro arena at Rio de Janeiro on Tuesday. 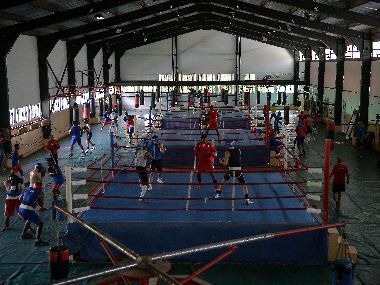 The chaos in the boxing administration in India has affected the preparations of the national squad. There has been no senior national tournament for the last four years and the absence of a national federation has resulted in very little foreign exposure for the boxers. This was reflected in the reduced number of boxers who have qualified for the Rio Games. 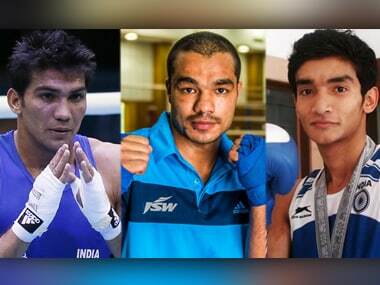 Shiva Thapa (56kg), Manoj Kumar (64kg) and Vikas Krishan (75kg) are the three pugilists who will represent the Indian challenge in Rio, down from eight at the 2012 London Olympics. Vikas is the only Indian boxer to get a seeding but none of them managed to secure a first-round bye. Vikas, placed sixth in the world rankings in his weight category, is the seventh seed in the middleweight (75kg) division. Thapa is also ranked sixth in the world in the bantamweight (56kg) category, but he failed to get a seeding due to a goof-up by the ad-hoc committee running boxing in India. According to the new rules implemented recently by the International Boxing Association (AIBA), the Olympic seedings were done after considering the performances of each boxer in professional tournaments like the Pro Boxing (APB) and World Series of Boxing (WSB). But the ad-hoc committee did not inform the boxers of this new rule and as a result, Thapa did not participate in APB, missing the opportunity to be seeded. He now has to face a seeded boxer as early as in the first round. Vikas will ring in India's campaign with a bout against 18-year-old American Charles Conwell on Tuesday. Vikas won gold at the 2010 Asian Games and took the 2011 World Championship title. He is one the country's strong medal hopes. The 24-year-old was the victim of some controversial officiating at the London Olympics and will be eager to set the records straight. Services coach B.B. Mohanty, who has trained Vikas and Shiva at the Army Sports Institute in Pune, asserted that his wards have learnt from their experience at the London Olympics and will do better in in Rio. "It is very difficult to do well in your maiden Olympics. The pressure is too much and you do not have the experience to handle it. Both Vikas and Shiva have learnt their lessons from the London Olympics. Vikas was treated unfairly by the judges in the 2012 Games and he is determined to prove himself this time," Mohanty told IANS. Thapa will start his campaign in the bantamweight division with what is expected to be a tough bout against sixth seed Robeisy Ramirez of Cuba. Ramirez had won the flyweight (52kg) title at the 2012 Olympics, but will compete in a new category this time. Shiva, who took bronze at the World Championships last year, has faced Ramirez before. The duo had met each other in the 2010 Youth Olympics final in which the Cuban had emerged triumphant. "Shiva has faced Ramirez before. 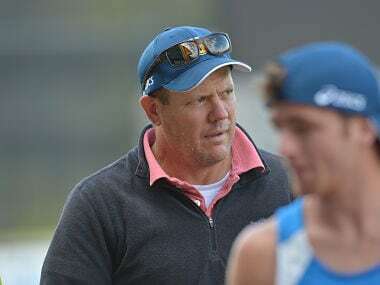 The two met at the Youth Olympics and it was a close bout which could have gone either way. Now Shiva is much better aware of Ramirez's style, his strengths and weaknesses and is much better equipped to defeat him," Mohanty said. 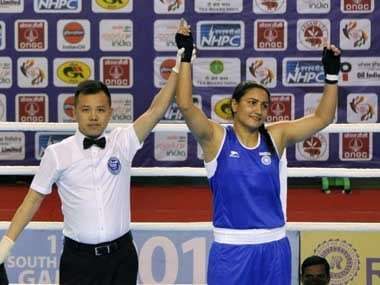 Manoj Kumar was also handed a tough challenge in the light welterweight (64kg) category. The 2010 Commonwealth Games champion will be up against Evaidas Petrayskas of Lithuania in his opening bout. Petrayskas won gold in the lightweight (60kg) division at the London Olympics. Here is India's schedule for Day Four.